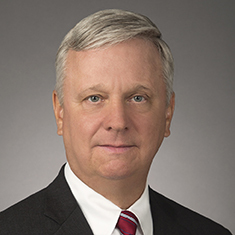 William C. Pericak (Bill) is a former federal prosecutor and seasoned trial lawyer with more than 25 years of first-chair experience, including 20 cases tried to verdict and 25 appellate arguments. From heath care fraud and Foreign Corrupt Practices Act (FCPA) matters, to cases involving environmental crimes, money laundering/anti-terrorism, bribery and corporate fraud, Bill represents clients in government investigations and complex civil and criminal matters. Bill served with distinction as a federal prosecutor in Washington, DC, and New York. He was the Health Care Fraud Coordinator for the US Attorney's Office, Northern District of New York and then Assistant Chief of the Criminal Division Fraud Section Health Care Fraud Unit in the US Department of Justice (DOJ), where he supervised Health Care Fraud Strike Force attorneys across the country. Following that appointment, Bill served as Director of the Deepwater Horizon Task Force, overseeing prosecution of criminal violations relating to the 2010 Deepwater Horizon explosion and oil spill in the Gulf of Mexico. Bill's representations in private practice run the gamut from white collar and civil fraud matters, with particular emphasis on health care fraud, to FCPA and environmental criminal cases. On the health care front, Bill represents physician group practices, hospital systems and pharmaceutical companies, leading internal investigations, responding to government-initiated investigations and defending against qui tam lawsuits. He has handled numerous cases involving the federal Anti-Kickback Statute and alleged violations of the civil and criminal False Claims Act. Drawing on his experience at DOJ, where he supervised cases involving suspected violations of the Clean Water Act and Clean Air Act, Bill has represented clients, including a major utility company, in environmental criminal enforcement matters. Bill routinely advises clients on FCPA compliance and has represented individuals and companies in domestic and FCPA bribery investigations.